Selling your mutual funds can be as important as learning when it is best buy them. This is because one of the key factors in investing is buying at the right time, but also selling at the right time. A lot of people don’t pay attention to this, which is silly because some investors tend to hold onto their funds long past when it’s a good idea to sell them. Here some red flags which suggest it’s time to let your fund go. 1. Management Issues: When you own shares in a mutual fund you are in effect hiring the fund’s team to manage your money for you. Unfortunately not all managers are created equal. And, like any business the management team is subject to turnover and quality differences. So in the event that a long time successful manager leaves or the management starts to make decisions that aren’t meeting your needs (e.g. by departing from their investment plan), it is perfectly legitimate to sell your shares. 2. Sustained Poor performance: There is no reason to put up with cruddy performance. If you find that your mutual fund is constantly underperforming the market indices, such as the Standard and Poor’s 500 or the Russell 2000, it might be time for your capital to find a better home. One thing to keep in mind is that even good fund managers are likely to have a bad quarter, so you might consider giving your fund the benefit of the doubt for 6 to 12 months. 3. Proposed Fund Mergers: Fund companies sometimes try to get rid of their poor performers by merging their funds with other funds. If you learn your fund is merging with another, take a hard look at management and what assets the fund is holding. The company might be trying to wash out the poor performance by combining it with another better performing fund. 4. Changing Investment Goals: Usually you own mutual funds to achieve specific investing goals like current income or long term growth. If your fund starts to radically change its focus – such as a bond fund attempting to increase returns by buying stocks contrary to stated goals, you are also justified in hitting the sell button. 5. 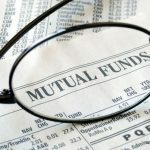 New or higher fees: Even though mutual fund costs have been declining, fees of any kind take money from your investment returns, so they are never a good thing. If the amount is small (say less than ¼ of a percent) and the fund is doing well, it is probably worth your time to keep your holdings. However, if the fund makes a large increase in fees or raises its costs regularly, start shopping for a new fund. The research on this is pretty clear, fees don’t necessarily guarantee higher performance but they do guarantee cuts to your profit margin. 6. The Fund Becomes Too Big: In many cases a fund’s quick growth can hinder performance. The bigger the fund, the harder it is for a portfolio to move assets effectively. This is more of an issue for focused funds or small-cap funds which typically deal in smaller numbers of shares or invest in stock that has low volume and liquidity. If you are holding a large cap or an index fund, this is less of a problem for you. Redemption Expenses: Don’t forget, just because you are deciding to get out of your mutual fund, it isn’t necessarily the end of the deal. Some funds have a back end load, which is basically a fee the fund charges you when you sell your shares. This is usually deducted from your total redemption value and can range from 6% to 0%. Also, don’t forget if you are holding your fund in a taxable account, Uncle Sam is going to want his pound of flesh. The IRS has more details (click here). 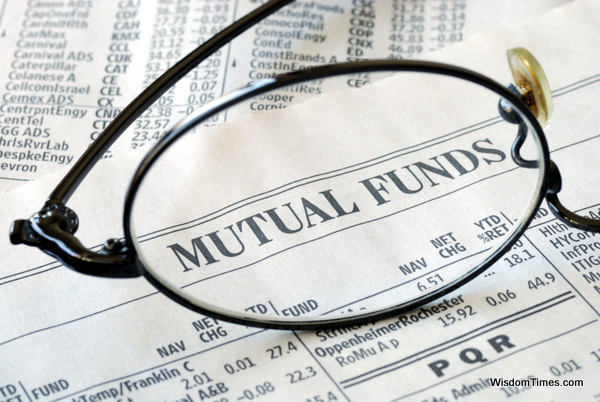 Do you have any additional recommendations on when to sell mutual funds? Leave us a comment.